Red lips are one of my favorite looks! This classic makeup look is perfect for every occasion. The beauty of it, in my opinion, lies in the simplicity. 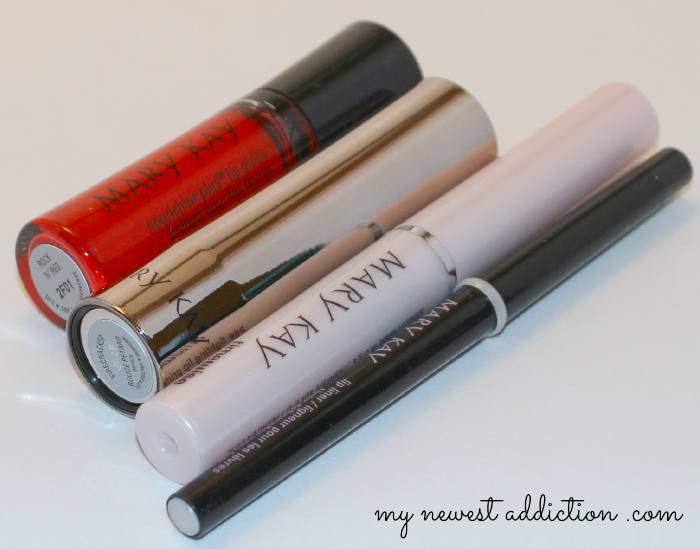 I used all Mary Kay products in this post. I started with clean lips. I primed my lips with the TimeWise Age-Fighting Lip Primer. It improves the lips the lips for long wear, reduces the lips and wrinkles on the lips and the lip area, and helps prevent feathering and bleeding. After applying this give it time to set in and start working before moving onto the next step. I lined my lips with Lip Liner in Clear. Clear can be used with every shade under the rainbow. It is a long-lasting liner that will extend the wear of any lipstick you pair with it! I applied the True Dimensions Lipstick in Firecracker which has a satin finish. This lipstick formula leaves your lips full of moisture and comfort. It also has a skincare ingredient meant to help smooth lines on the lips over time. Did I mention that the packaging on this lipstick is awesome. You open it by pushing down on the clear top. The final step is topping it off with with NouriShine Plus Lip Gloss in Rock n Red! This lipgloss is so opaque that I would actually call it a liquid lipstick. It is full of good-for-you ingredients that smooth, protect, and condition the lips. Right now you can get all of the products used in this tutorial in the Special-Edition Viva Red kit! 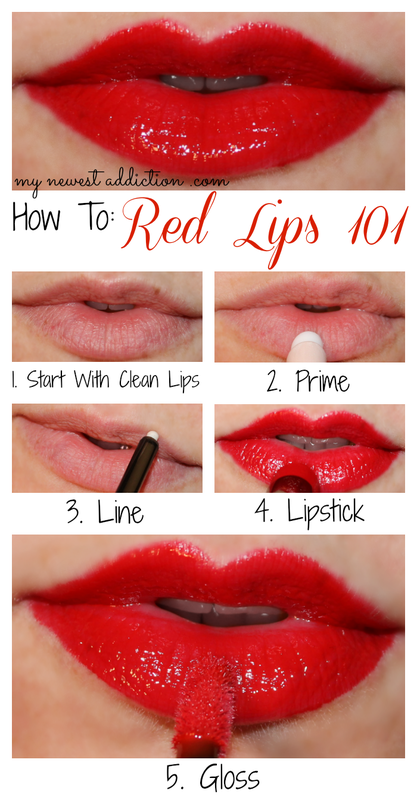 As I mentioned before, red lips are always on trend and we do have Valentine’s Day coming before you know it!!! Treat yourself!